Complete the form below to unlock our low price. Price applies to in stock units only and excludes tax, tag, and other governmental fees and customer selected options. Price includes the dealer service charge of $599 and title service fee of $98. While every reasonable effort is made to ensure the accuracy of this information, we are not responsible for any errors or omissions contained on these pages. 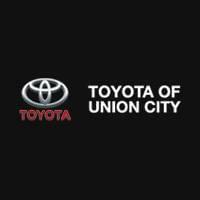 Please verify any information in question with Nalley Toyota Union City. In order to receive the internet price, you must either present a copy of this page’s internet price, or you must specifically mention the internet price to the dealership and have the same referenced in your contract at the time of purchase. Nalley Toyota Union City	33.5665934, -84.521374.